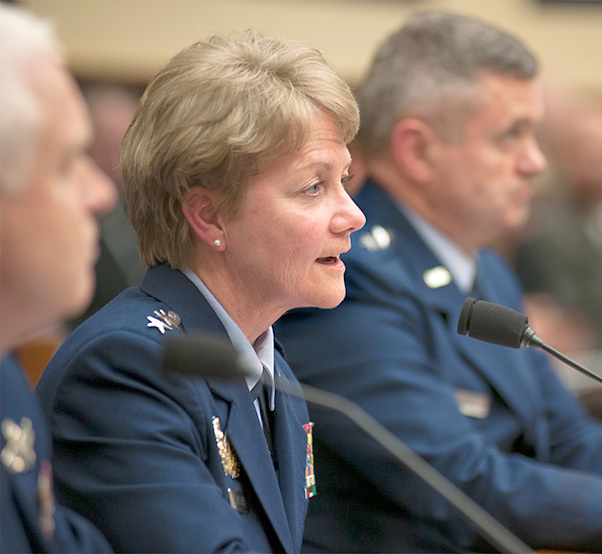 Lt. Gen. Maryanne Miller, the chief of Air Force Reserve and commander of Air Force Reserve Command, discusses her top priorities for the Air Force Reserve during a House Armed Services Committee hearing on Capitol Hill, March 22, 2017. 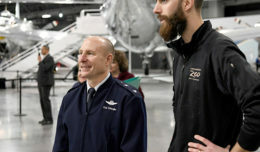 During the event, Miller, alongside leaders from the active Air Force and Air National Guard, discussed issues facing the Air Force with members of Congress. Lt. Gen. L. Scott Rice, the director of Air National Guard, Lt. Gen. Maryanne Miller, the chief of Air Force Reserve and commander of Air Force Reserve Command and Maj. Gen. Scott West, the director of Air Force Current Operations and deputy chief of staff for Operations, shared Air Force needs before the readiness subcommittee. “Readiness is my first priority,” Rice said. Readiness is measured in two ways: ‘for what’ and ‘with what,’ West said. ‘For what’ is the commander’s assessment of whether their unit is ready to support their mission. ‘With what’ measures personnel, training, skill level, equipment and resources. Readiness levels are lowered by the shortage of experienced maintainers to generate sorties and enable full spectrum training with aging fleets. Modernization and recapitalization of aircraft and equipment are also essential, all three Air Force leaders said. The average age of Air Force aircraft is 27 years – older than many of the pilots flying them. The panel also agreed on the need for more maintainers, and to fix the pilot shortage. “If there’s one thing I could do, it would be put more maintainers on the flight lines,” Rice said. Based on the service’s current assessments, more manpower is also needed in maintenance, intelligence — specifically intelligence, surveillance, and reconnaissance — cyber, pilots and special operations. “To begin to improve readiness now, and attain manning levels that match requirements, the Air Force must increase its active duty, Guard and Reserve end strength, to include growing active duty end strength to 350,000,” West said. While all three expressed the need for more Airmen, they also expressed the need to reduce infrastructure. Far too much money is spent on excess infrastructure than needed given today’s reduced manpower footprint and current warfighting mission requirements. Excess and outdated facilities need to be reduced, according to Air Force leadership. 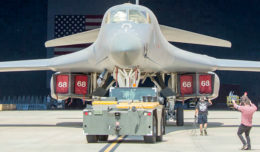 Since 2005, the Air Force retired eight minor installations, approximately 500 aircraft and reduced its total active duty military manpower approximately 8 percent without reducing its installation infrastructure at the same time. Given the current end-strength goal of 350,000, the estimate of excess Air Force infrastructure capacity would be approximately 24 percent, which is why the Air Force must also reduce outdated and unnecessary facilities. “We are recommending that another round of Base Realignment and Closure be initiated by Congress,” West said. The commanders also testified that total force contributions are essential to enabling future joint force success.